For those with an interest in catching up, a number of the big sessions were recorded and available HERE. 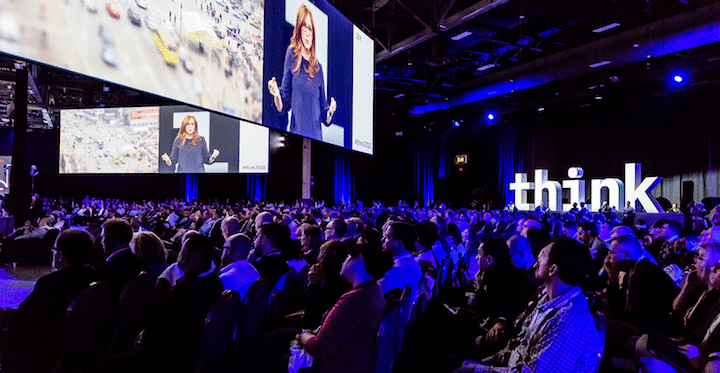 In a previous post, I offered some thoughts on Ginni Rometty’s keynote HERE – An Exponential Moment and the Untapped Power of Incumbents. I can remember various versions of this event being called World of Watson, Insight, Information On Demand, and a host of other titles. I will say that it felt a little bittersweet to see a physical manifestation of two things I’ve been saying for a number of years that make me feel a bit less center-stage than I once did: 1) the traditional way of looking at processes and automation through a content management lens is changing; and 2) the lines have disappeared between structured and unstructured information, between content and data. And that means a very different role long-term for “content-y” people. “Content management” – at least as traditionally defined – is no longer the straw that stirs the process drink. It’s a key element, yes. It’s an important set of tools in the enterprise toolkit, yes. But it is not the only game in process town. This is reflected in how IBM is now structured relative to its content management capabilities. All of the familiar content management tools and products – RPA, content management, capture, workflow, business rules -- are now grouped under the IBM Automation umbrella, specifically under Business Process Automation. The focus is on to applications that leverage content services and data capabilities for automation and the integration of content services into existing applications. The other side of our traditional content world, of course, is information governance.The governance capabilities at IBM are now grouped within the Analytics area under Unified Governance and Integration, focused on 1) data integration, 2) data governance, 3) master data management, 4) data replication, 5) data quality, and 6) information lifecycle governance. Truth be told, those first five elements in the UGI list are not the usual focus of AIIM and ARMA seminars. And therein, lies something we need to think carefully about. Traditional information governance and records management folks from the content world that focus on “documents” need to get familiar quickly with concepts from the data side of the house, because that is going to be the dominant framework as we move into the era of AI and machine learning. How many content-centric information governance professionals are well versed in data governance concepts? Data lakes? Master data management? I will confess – I need to expand my own skill set. Where is that data located? What systems are using that data and for what purposes? Does the use meet all regulatory and business requirements? Getting an initial handle on these core questions, of course, is more difficult than it seems. But sustaining this commitment in an era of exponentially increasing volumes is even harder and requires a different approach to governance than is typical in most organizations. He noted that 1) automating governance is no longer optional -- you HAVE to use technology, because scale requires new approaches; and 2) you HAVE to integrate data governance INTO the processes themselves – it can’t be a bolt-on afterthought. I think all of this points to the need to view content and information governance capabilities from the “outside-in” – from the perspective of how organizations are trying to transform the experiences of their customers, employees, and partners. I spend a lot of time with sell-side content management organizations who are trying to expand their markets by selling new analytics and automation capabilities to content-y people with ECM implementations. I think many have this exactly backwards – the true path to market expansion is to sell content-y capabilities to data analytics and automation people. It may sound like semantics, but it requires a fundamentally different approach to the market. And from experience, I can say that a lot of folks on the data analytics and automation have no idea what we do on the content/unstructured side, why it requires different disciplines, and how we do it. I’ve spoken to data people who think it’s kind of magic to be able to scrape data from a form that you've never seen before and automatically incorporate this data into a business process. Which is something we've been doing for a decade. Which is where the vast experience of Information Professionals/CIPs from the unstructured side of the house comes into play. But that’s only if – and it’s a big IF -- we can translate what we do into the broader space of Data Professionals. 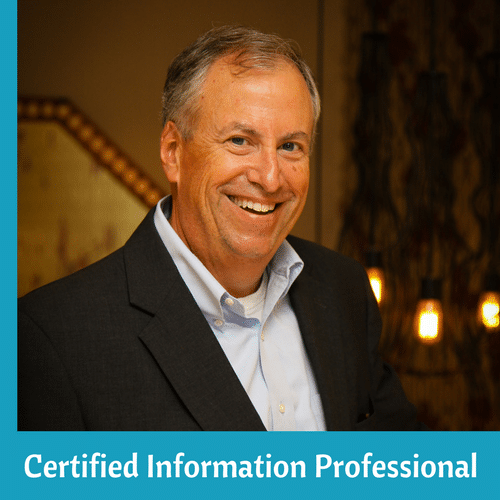 Intelligent Information Management is the broad umbrella that AIIM puts around a lot of these conversations. We believe that information is the currency that fuels an organization. As such, it is an organization’s most important asset. At the very time that information assets are increasingly important, our ability to manage them is eroding due to the exploding volumes, variety, complexity, and velocity of information coming into our organizations. Addressing the rising tide of information chaos is a prerequisite to solving the Digital Transformation puzzle. At best, organizations have been able to keep pace with the rising tide of information chaos; at worst, they are falling behind and putting their long-term survival at risk. Despite rapidly improving technology tools, organizations are realizing that information is coming into their organizations more quickly than it can be intelligently managed, and they are quickly realizing that something needs to change. We'll be talking about that "something" at AIIM18. I'll be building out some of these thoughts during my keynote at AIIM18. It's not too late to join us.